3 January 2016 – The Government of Saudi Arabia executed reformist cleric Sheikh Nimr Baqir al-Nimr yesterday on 2 January, along with 46 other persons. Americans for Democracy & Human Rights in Bahrain (ADHRB), the Bahrain Institute for Rights and Democracy (BIRD), and the European Centre for Democracy & Human Rights (ECDHR) condemn in the strongest and most absolute terms the actions of the Saudi government, and call on the governments of the international community to intervene in order to prevent any further bloodshed. Sheikh Nimr was a peaceful reformist that espoused non-violence in his dissent against the Government of Saudi Arabia. He championed the equality for all Saudi citizens, and vocally supported the anti-government peaceful protests that occurred in the country’s Eastern Province and other parts of the country in 2011. The Government of Saudi Arabia has historically discriminated against its human rights defenders and reformers. Sheikh Nimr’s execution is likely to stoke already strong tensions between the government and its Shia population in the Eastern Province, further destabilizing the country. The Government of Saudi Arabia violently arrested Sheikh Nimr in 2012. Sheikh Nimr sustained multiple gunshot wounds during the arrest. 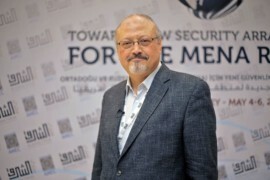 In 2013, the government tried and convicted him of terrorism-related offences, including “breaking allegiance to the ruler,” and “inciting sectarian strife.” The government tried him in its Specialized Criminal Court, a court separate from the traditional Saudi criminal justice system and mired in allegations of due process violations. In October 2014, the Specialized Criminal Court convicted him on these charges, and in October 2015 he lost his final appeal. The government carried out his execution yesterday. Along with Sheikh Nimr, the Government of Saudi Arabia executed 46 other individuals, including a number of men convicted of supporting al-Qaeda activity in the kingdom last decade. Sheikh Nimr’s execution alongside these individuals is indicative of the Saudi government’s expansive and over-reaching definition of terrorism, which can include anything from violent crime to peacefully insulting the King or the Minister of Interior over Twitter. Despite the severity of its human rights abuses, Saudi Arabia maintains strong ties with both the United States and the United Kingdom. Earlier this year, the United States announced a $1.29 billion arms deal with Saudi Arabia. In November, it was reported that the United Kingdom was planning a series of high-level bilateral visits in order to secure similar contracts. Several of Sheikh Nimr’s relatives and supporters remain incarcerated and on death row. Ali al-Nimr, Sheikh Nimr’s nephew, was convicted by the government again on terrorism-related charges and sentenced to death. Ali al-Nimr was a minor at the time that the alleged acts occurred. The government reportedly sought his crucifixion at trial.